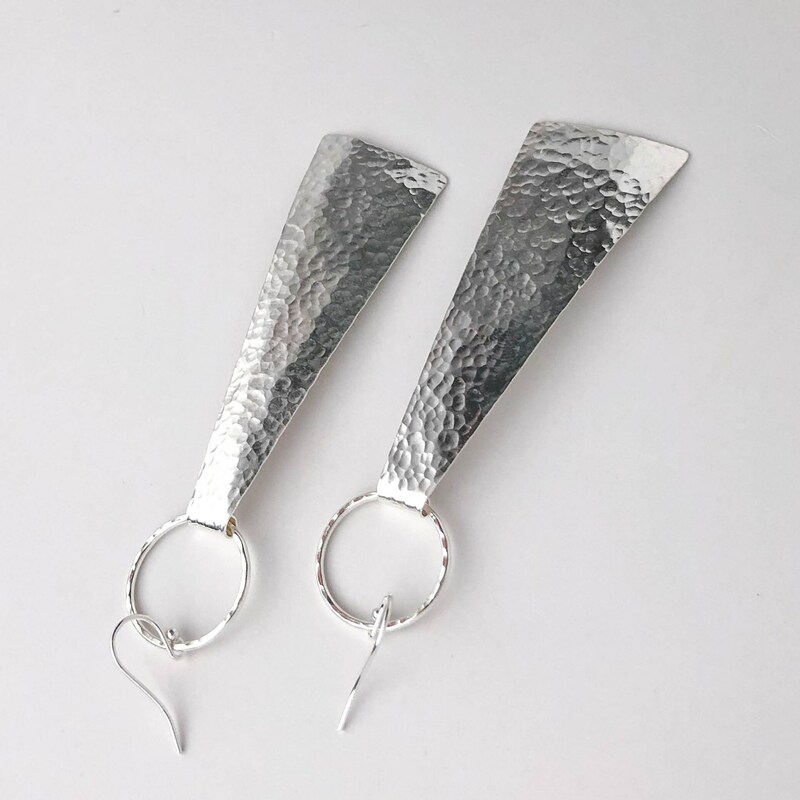 * Total length including the ear wire is 3.9" long and the earring dangles 3.5" below the bottom of the ear wire. 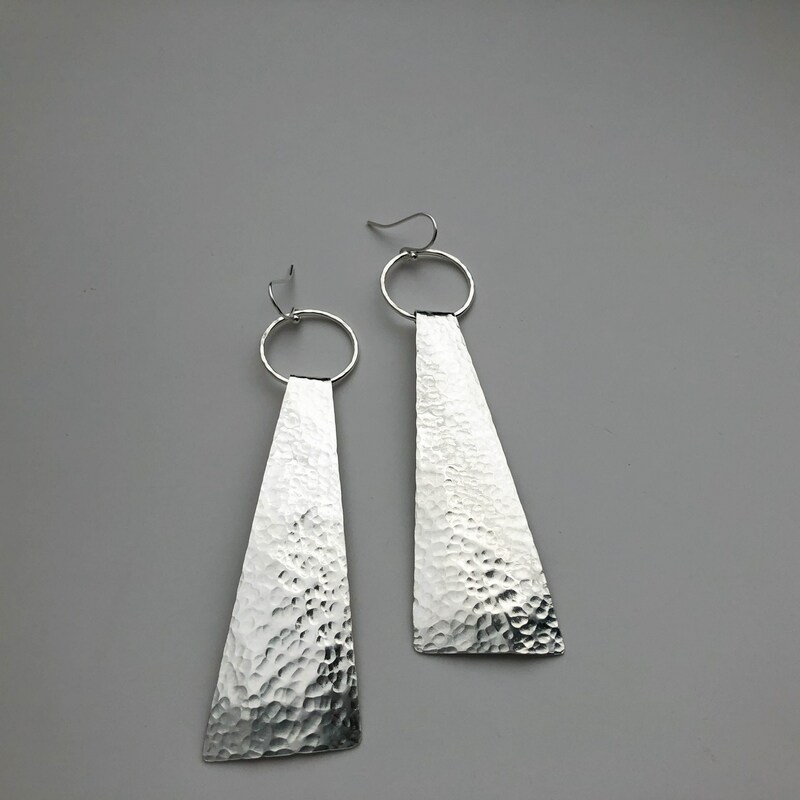 * The earrings measure 1" across at the widest point. 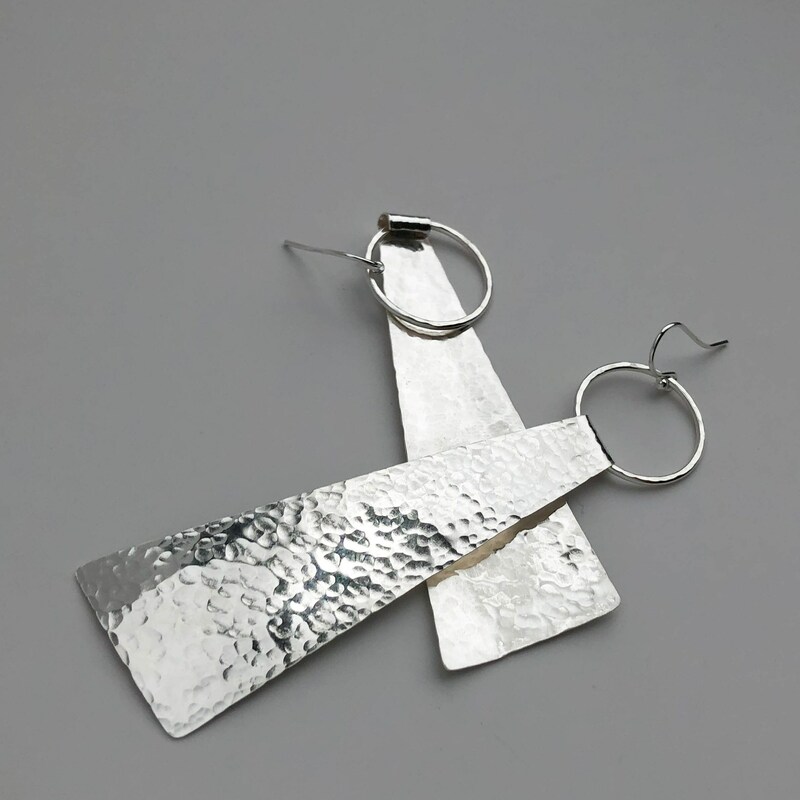 Make a statement with these geometric silver earrings! 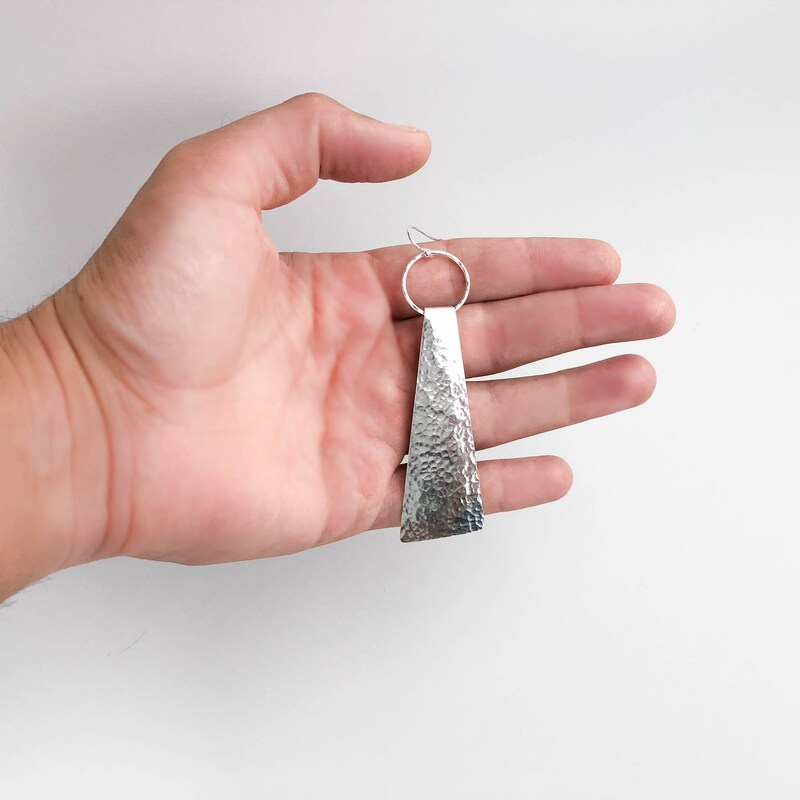 They are handmade with solid, nickel free sterling silver. 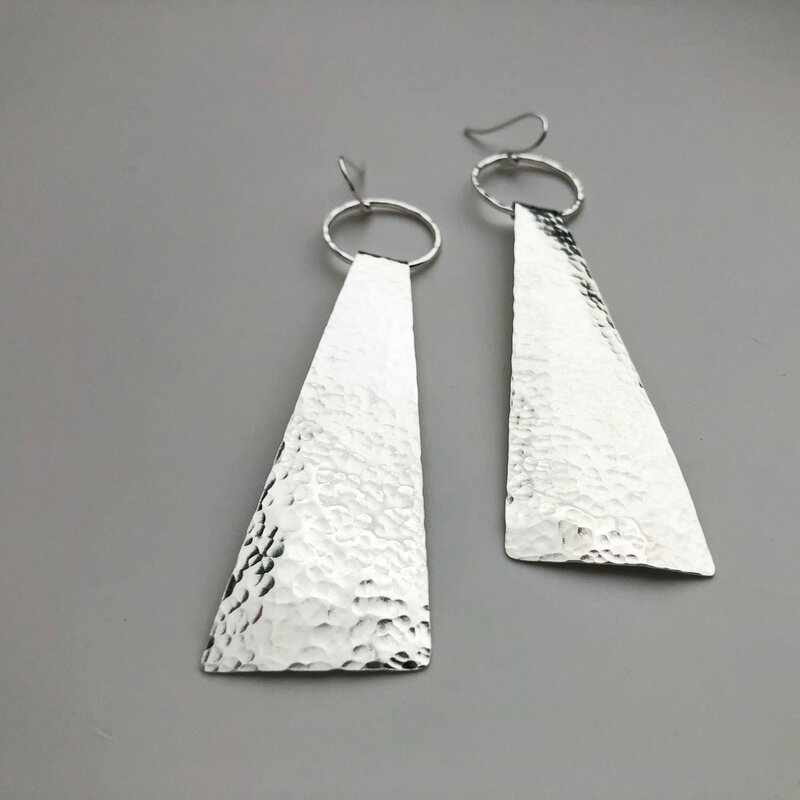 The shapes are carefully cut out of sterling silver sheet and repeatedly struck with a hammer to create an all over soft dimpled texture on the surface of the metal. 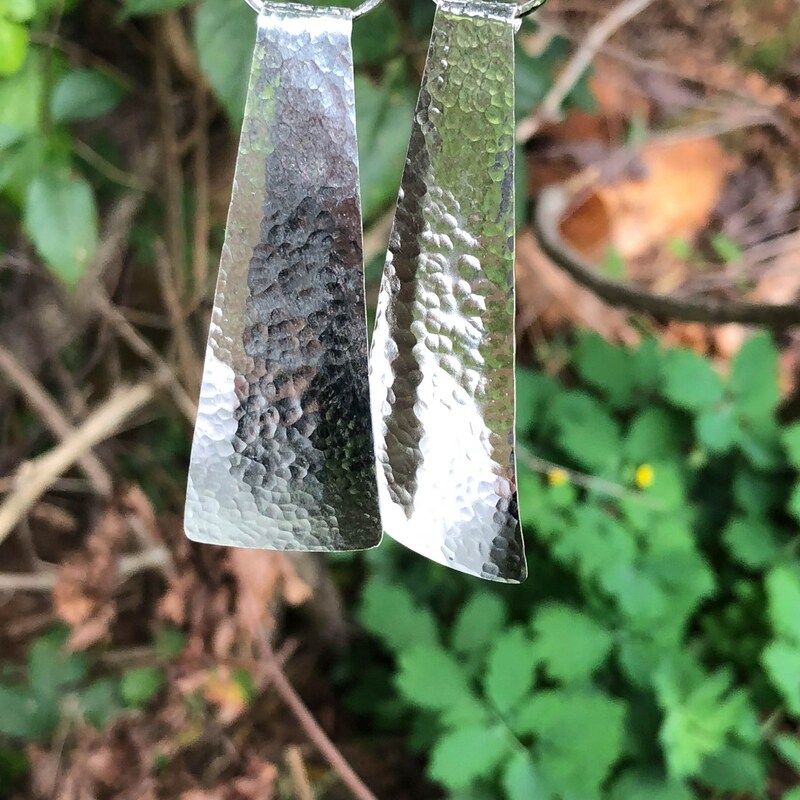 They are given a gentle curve for dimension and then polished to a high shine to reflect and catch the light beautifully. These are big but designed to be lightweight and comfortable to wear. 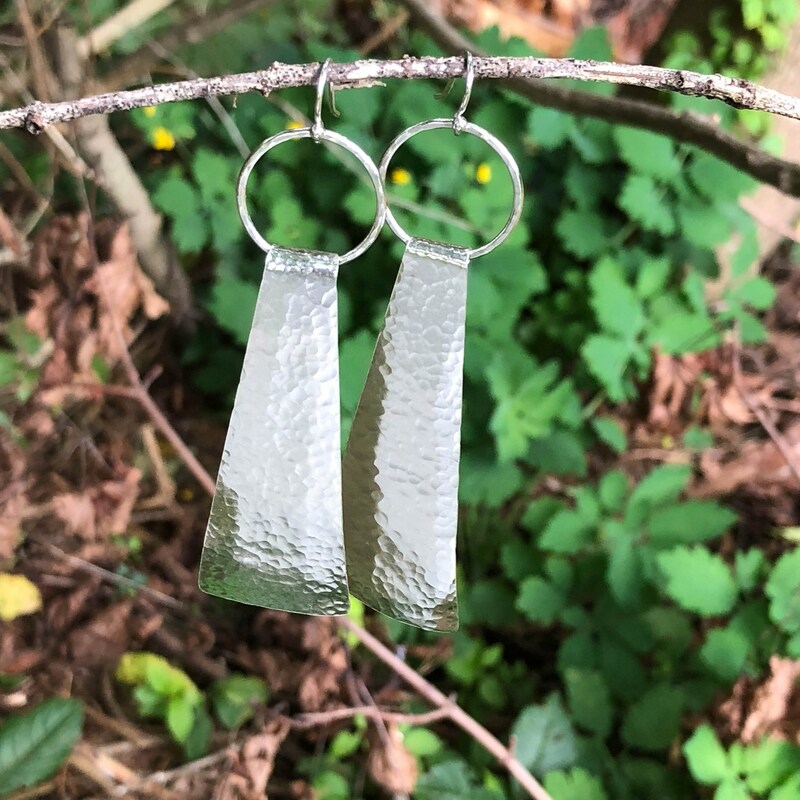 Roxann was super responsive and shipped out the earrings right away so that I could have them in time for a birthday present! 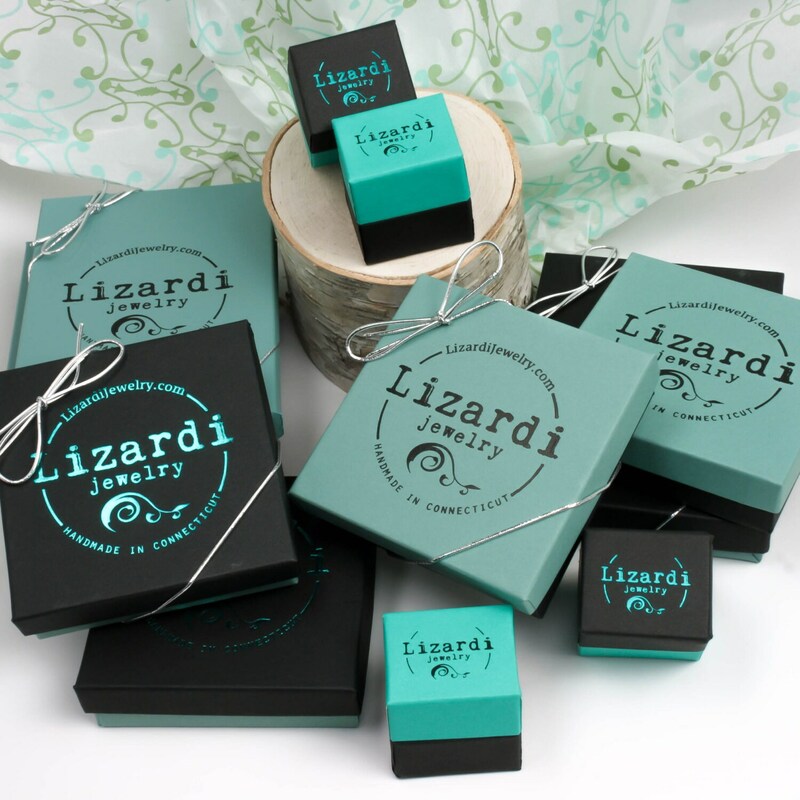 The earrings are beautifully made & wonderfully packaged and ready to be presented, complete with a custom message that I could put in for free. Very pleased. 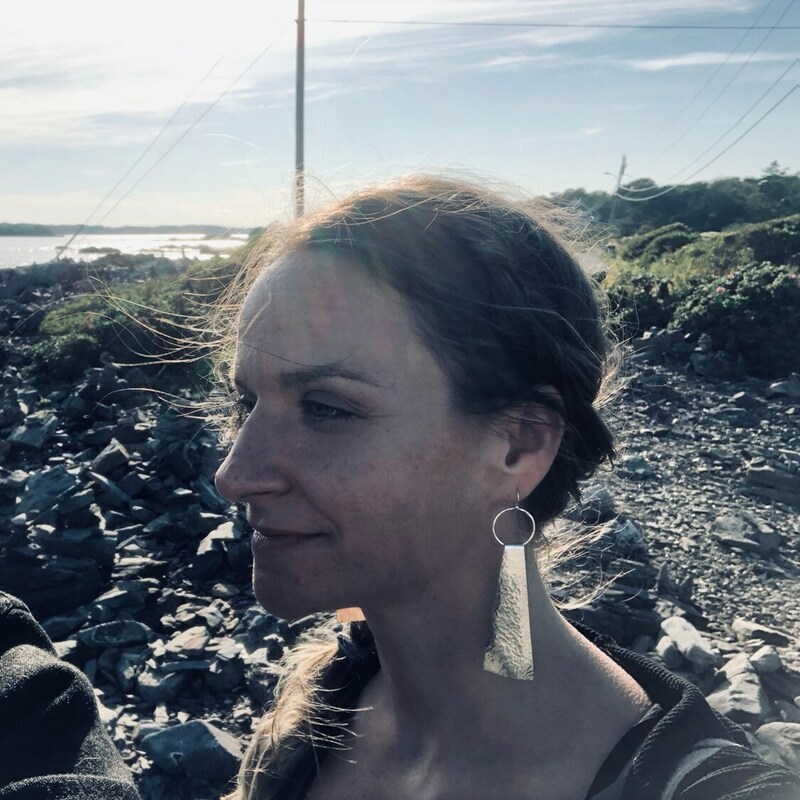 Thank you Roxann!